Pedro's headset flat wrenches are made from 3.2mm thick, precision laser cut, heat-treated tool steel for the ultimate in strength and long-lasting performance. 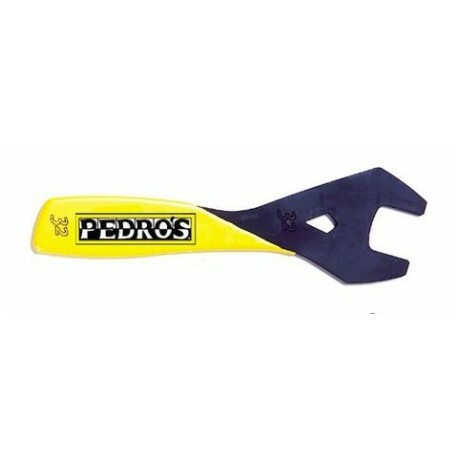 Pedro's designed each flat wrench to fit perfectly protecting the component and ensuring simple and safe usage for the mechanic. Each ergonomically designed flat wrench also features a single-ended design with cushioned grip to provide maximum leverage & comfort.